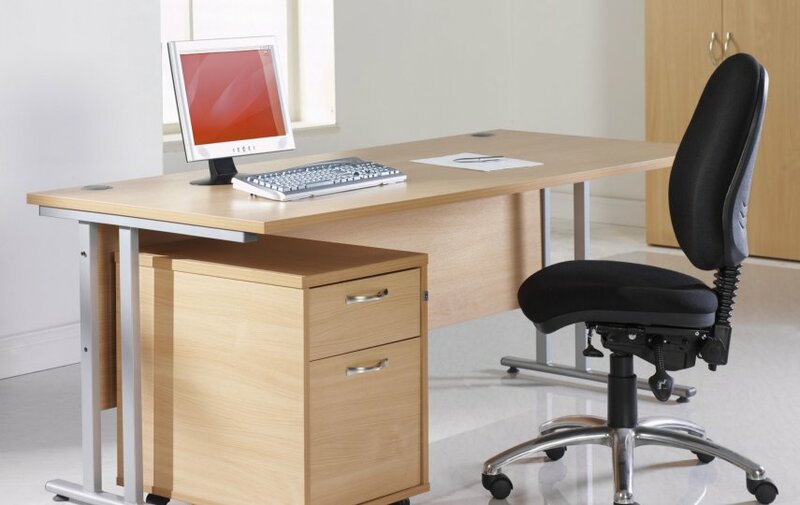 A value range of office furniture manufactured in the UK to a high quality. Available from stock this range has an expected lead time of 7-10 days from order. GM is offered in a choice of Oak or Beech finish. The heavy duty cantilever frame has a powder coated Silver finish. The double strut design of the leg gives the desk extra stability. The leg also has floor levelling adjustment. 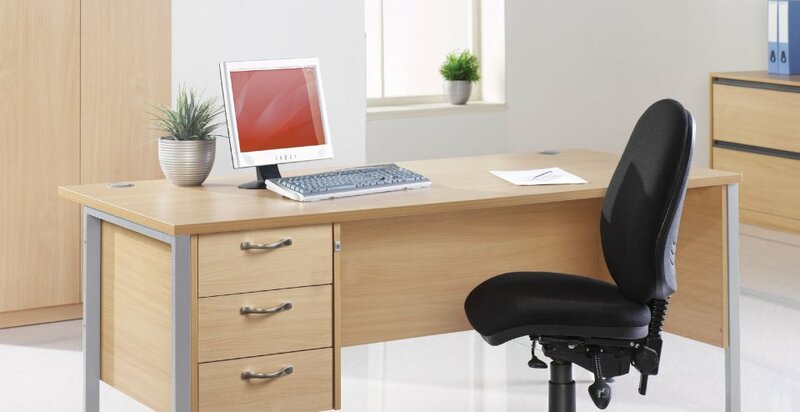 Two 80mm diameter cable outlets are provided for cable management and bring cables discreetly to the desk surface. GM office furniture is delivered flat packed for easy self assembly. 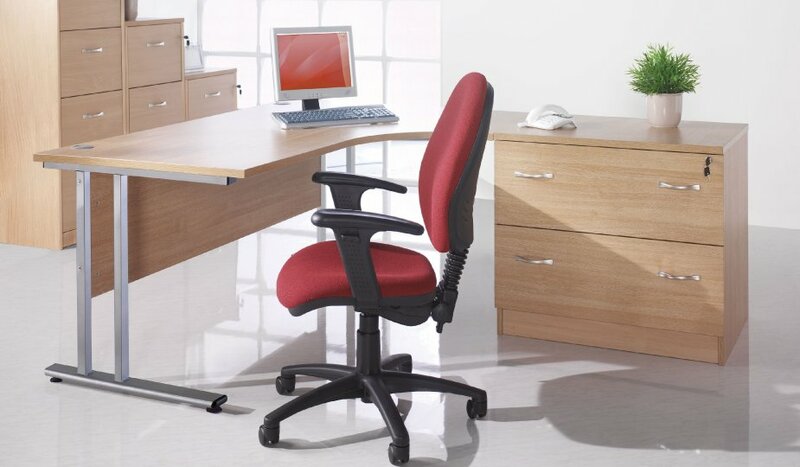 We also provide a professional, nationwide office furniture installation service in support of this range. GM comes with a five year factory guarantee.